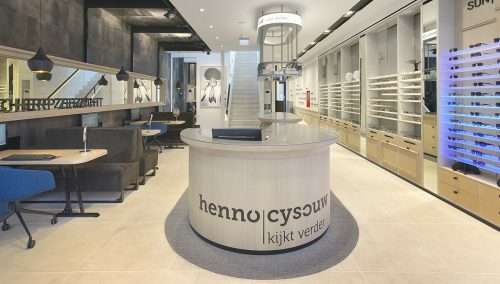 Peter Harney , located in de German city Hofheim is very content about de design and shopfitting optician shop. Waller Opticians hace a regional customer base due to their professional and tailor made approach. Due to the shop success, Peter Harney decided to move to a bigger A1 location. The desire to grow and offer the best service is now a new reality for Peter. 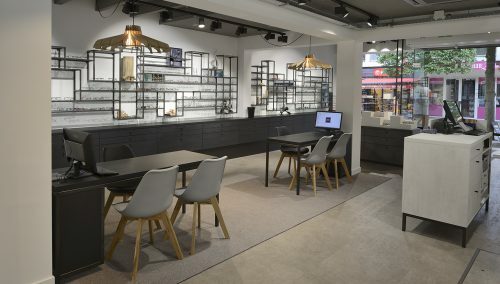 The retail architects of the Dutch design specialist WSB were elected to create and plan the new optician shop. 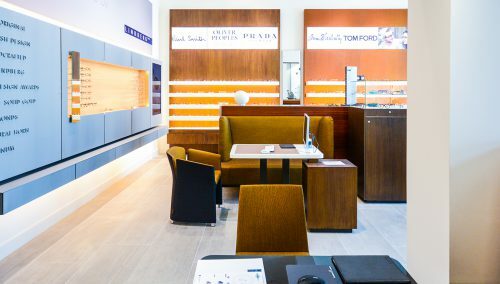 The profit is good after the complet new shopfitting process by WSB. Peter is very content. Are you looking for a new retail design for your shopping concept? WSB is an international retail design specialist is retail store concepts. Every creative challenge starts with a strategic concept dialogue to define the Retail Marketing Strategy: Who are you, what do you want to accomplish? What is the DNA of customer-product environment? The DNA of the store is visualized in 3D in the design phase and is given shape in the turn key realization phase. Unique, commercially successful and distinctive. that’s our signature! We know what really motivates people, what influences their buying habits. Our designers visit world cities like New York, Paris, Berlin to detect the last trends.